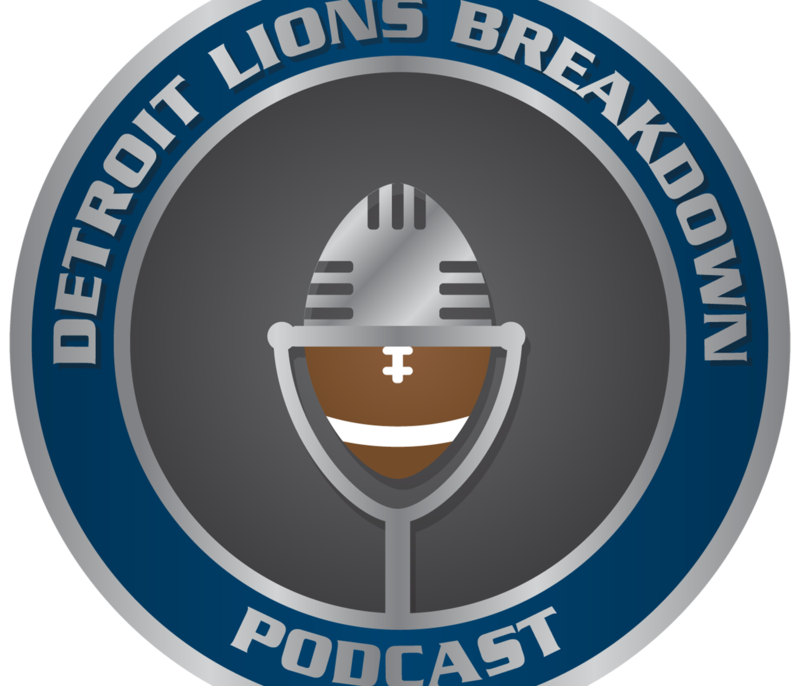 This is Super Bowl week and since the Lions are not participating Erik and Joe will begin breaking down position groups for next season. This week the focus is on the offense, mainly the skill positions. What does it take to fully implement a new playbook on offense? How long does Erik think the Lions will need to adapt to the new scheme/playbook? Could there be more coaching changes on the way? Will the Lions target a backup QB in free agency, the draft or both? Will Theo Riddick have a role in the new offense? Which running backs will the Lions be targeting in free agency and the draft? Could Marvin Jones really end up being be cut/traded? What might we see from Michael Roberts in 2019? Are there any skill positions the Lions could target at #8 in the NFL Draft? Could Iowa tight end T.J. Hockenson work in the new system and would they consider picking him at #8? For the just the 3rd time in Detroit Lions Breakdown Podcast history Erik and Joe welcome in a guest voice, Lions Wire writer Scott Warheit visits the studio to discuss the Detroit Lions recent coaching changes, how they impact the offseason, and as always, take questions from the listeners. Have the Lions chances of re-signing Golden Tate increased with Bevell’s hiring? How will the special teams be impacted with the return of Bonamego? What are some position coaches responsibilities? Who are some targets in free agency and the draft that fit the slot receiver profile? Who might the Lions pursue as a high-end defensive end in free agency? Could adding a coach like Dave DeGuglielmo (former offensive line coach of the Colts) be in the cards for the Lions? How long should it take for the Lions offense to learn the new system? Can Tyrell Crosby be ready to start on the OL next season? Would the Lions be interested in trading for an established player if they had to deal away a Day 2 pick? Could the Lions pick a guard at Pick 8 if T.J. Lang retires? Who Erik thinks could be the Lions 3rd round sleeper, similar to Kenny Golladay and Tracy Walker? Who might the Lions be targeting in free agency at RB? The search for an offensive coordinator extends another week as the Lions ponder their options. Erik and Joe sift through the eligible candidates as eight other teams continue preparing to chase the Vince Lombardi trophy. Will there be any more coaching moves? Who was the best feel-good story of 2018? What value does the No. 8 pick in the 2019 draft have? Can the team trade back? How lackluster is this quarterback class? Who are the top tight ends on the board? Can the Lions wait until after Round 1 for an EDGE rusher? Is the class deep enough? As far as underrated needs go, is off-the-ball LB one of them? Have Alabama players taken a hit to their draft stock after losing the National Championship? Would the Lions consider drafting an offensive tackle early? Will Ziggy Ansah be back? Which free agents could the Lions potentially break the bank for? Could Anthony Barr find his way over from the Vikings? Could Antonio Brown be a Lions trade target? Who could be options for the Lions at backup quarterback in 2019? Quinn stated that he tried to acquire other tight ends before and throughout the season. In what ways could he improve the position group moving forward? The Lions season will come to a close Sunday at Lambeau Field as they take on the Green Bay Packers. 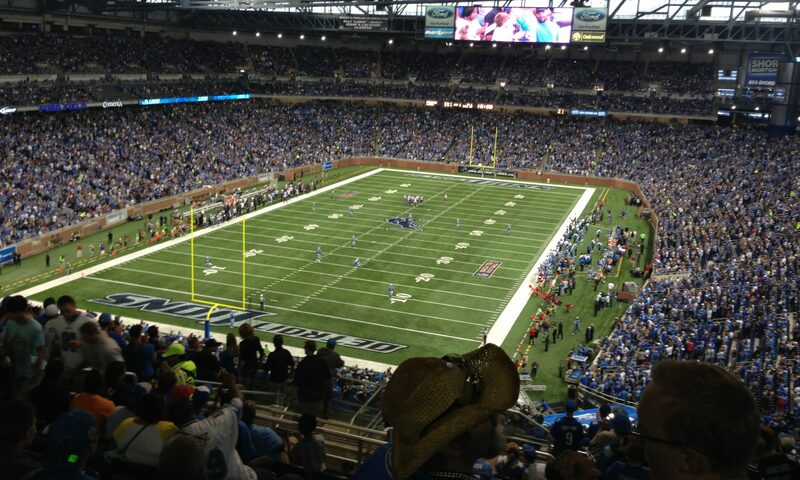 This past Sunday the Lions left their fans coal in their stockings in a lackluster 27-9 loss to the Minnesota Vikings. A Lions win may, or may not, put their current 5th overall draft position in Jeopardy. Should the franchise QB be involved in coaching decisions moving forward? Would Adam Gase — current Miami coach — be an option for the Lions OC job if he’s fired? Which young players could step up into a leadership role? What does Kenny Wiggins bring to the table in comparison to TJ Lang? Is Joe Dahl the Lions fullback of the present and future? Has Jarrad Davis peaked as a football player? Can the Lions reduce injuries in 2019? Which Lions may be moving on in the offseason? Any hopes of making the playoffs were ultimately crushed this past Sunday as the Lions suffered a 14-13 loss at the hands of the Buffalo Bills. This Sunday, the Lions host the Vikings and will look to avenge their loss back in November in Minneapolis, or at least hold their defense to less than 10 sacks. Has Kerry Hyder underachieved in 2018? Where does Tyrell Crosby fit in the offensive line in 2019? How has Coach Matt Patricia given Lions fans reasons for optimism? What positions might the Lions target in free agency and the draft? Speculate who may be a top free agency target on both sides of the ball. What defensive position in the draft could have the biggest immediate impact? What’s the highest and lowest draft pick the Lions could end up with? The Lions got back on the winning train with a 17-3 victory over the Arizona Cardinals last Sunday in the slop at State Farm Stadium. This week the Lions look to make it two in a row (to the chagrin of a portion of the fanbase) against the Buffalo Bills in what looks to be a benign weather Sunday for upstate New York in December. New faces to the practice squad: Joshua Frazier, Jarron Jones, Jonathan Wynn and Salesi Uhatafe. If the Lions could steal a Bill, who would it be? Which Lions running back will have the best day in Buffalo? Has Theo Riddick seen his best days as a receiver? Which running backs will be back in 2019? The defense is now ranked 11th in yards allowed, where have they improved the most? Will the Lions give Tracy Walker time at corner or could he possibly play over Glover Quin? Does Jalen Reeves-Maybin fit the defensive scheme? Where do the Lions sit with the news that the NFL salary cap is expanding. Who are some current players general manager Bob Quinn may consider extending this offseason? The Lions fought valiantly on Sunday, but late game mistakes ultimately cost them in losing to LA Rams 30-16. This week the Lions look to bounce back as they travel out to the desert to take on the struggling, but coach-killing, Arizona Cardinals. Should the Lions shut down Kerryon Johnson? Will the Lions have a similar defensive game plan against the Cardinals? Will we see more Zach Zenner? Will the younger players start getting more time late in the year? Who is to blame for the Lions conservative offensive play calling? The guys reference Chris Burke of the Athletic’s potential offensive coordinator replacement list (subscription required). Can the Lions fix their problems in one offseason? Who are the ideal fits at the top of the draft for Coach Matt Patricia’s scheme? Should the Lions consider moving Jarrad Davis to another linebacker position? Is there a height threshold for Lions linebackers? Could the Lions potentially consider drafting a corner in the first round? Is interior defensive line off the table after the success of Harrison, A’Shawn Robinson and Da’Shawn Hand? The Lions served up a late-game disaster on Turkey Day, allowing the Bears to use two late turnovers to boost the holiday cheer of their fans back in Chicago. The Lions look to pick up the pieces this week against the 10-1 Rams who are fresh off a bye week. Erik and Joe slowly start looking towards the future in this episode. Who could fill the Lions void at slot wide receiver moving forward? What are the expectations for Agnew once he returns? Should the Lions be scouting running backs in the draft? How deep is this year’s EDGE draft class? Which top linebackers fit from this draft class? Are the Lions an appealing destination for free agents?